Picture the light ambience of street players busking on an old Parisian street: accordions and violins, small guitars and light trumpets. This is the sound of St. Bohéme. 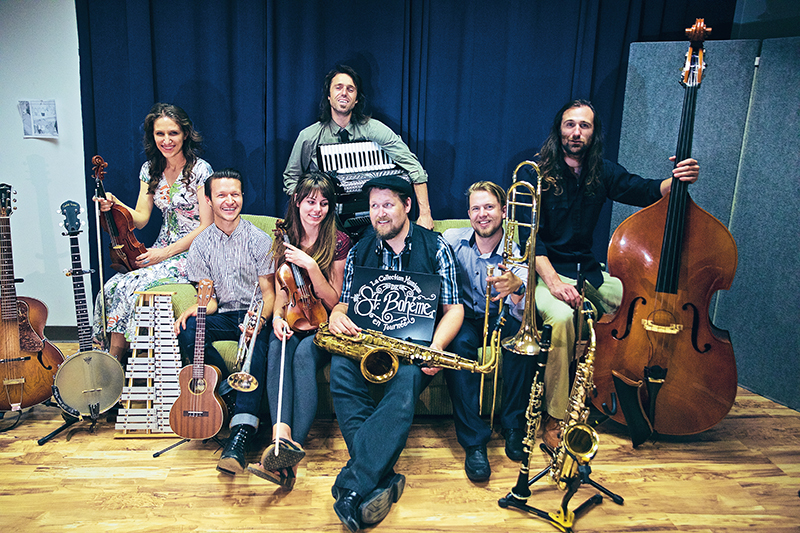 As the ongoing vision of musician/songwriter Beaux Underwood, this French swing, gypsy folk, classical contemporary ensemble (there’s no easier way to say it) is providing the Craft Lake City DIY Festival with their charming musical style on Aug. 8. For those new to St. Bohéme, the seven-member group plays songs from artists like Beirut, Yann Tiersen, Hans Zimmer and Edith Piaf, while also harkening back to classic swing and jazz tunes from the early 1920s. Members have come and gone since its foundation in 2007, but today, St. Bohéme includes an impressive lineup of Underwood (accordion, guitar, vocals and more), Denney Fuller (trumpet, banjo, ukulele and more), Allison King (violin), Parker Childs (doublebass), Benjamin Biggers (clarinet, alto/soprano sax), Cassandra Darley (violin) and Braden Thorkelson (trumpet, trombone). The idea started from a personal obsession that Underwood held for Yann Tiersen’s soundtrack for the 2001 French film Amélie. As a prolific instrumentalist, Underwood spent hours teaching himself how to play the accordion to recreate Tiersen’s unique style. Eventually, he realized that the sound he was searching for was larger than what he could produce alone. So, Underwood set off to gather friends and fellow musicians who felt equally drawn to the romantic aesthetic of the Old World style. 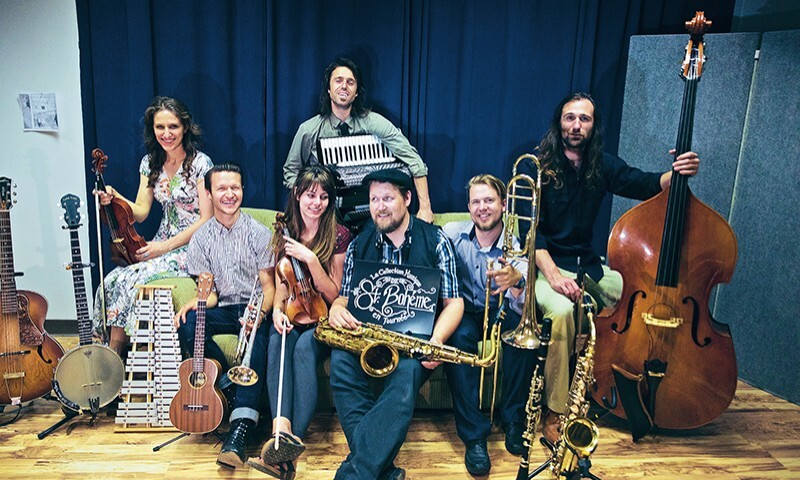 In its current form, St. Bohéme sprawls with instrumental talent from each member. Though they perform only covers, St. Boheme’s originality is found in the shared themes of the pieces they select, as well as through their personal take on musical recreation, which the listener can’t hear anywhere else live. Thus, there is a refreshing lack of ego that listeners can detect from their deep love of the style. “I would compare us to the symphony,” says Underwood. “We are kind of more in that area than a rock band. … We have a unique sound, and there’s really nobody else playing it.”See them for yourself at their regular gig at Silver Star Cafe in Park City, various Gallery Strolls and at the Graywhale Stage for their special Craft Lake City performance. More information (such as an upcoming EP release in September) can be found on Facebook and at st-boheme.squarespace.com.